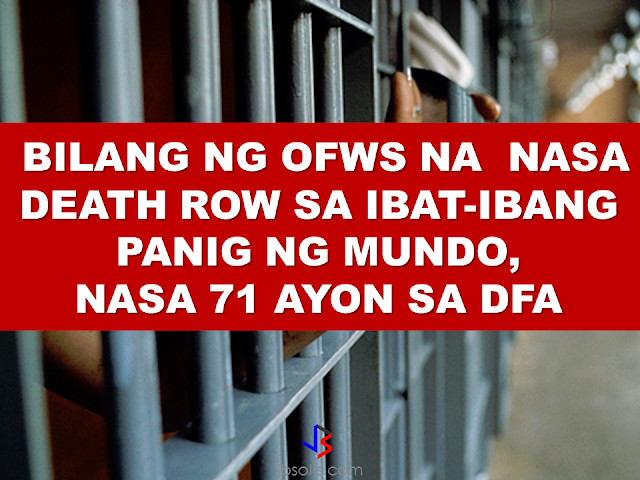 At least 71 Overseas Filipino Workers (OFWs) are on Death Row in different parts of the world, according to the Department of Foreign Affairs. DFA spokesperson Charles Jose said t over the past few years the number has in fact decreased after several death sentences were either suspended or reduced to life sentence. 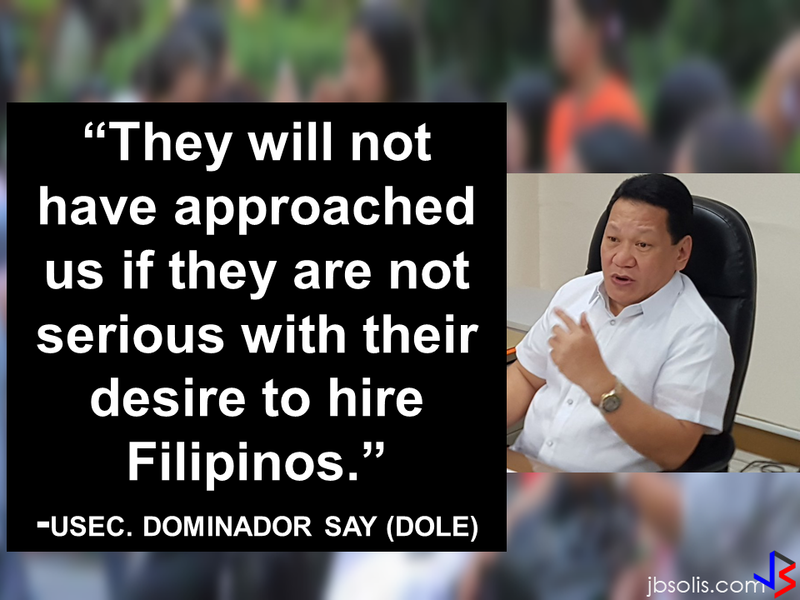 For example, in China in which a substantial number of cases involving OFWs received death sentences with two year reprieve. “When the two year reprieve has been consummated, automatically the convict will be removed from Death Row and the sentence will be commuted to life imprisonment,” Jose said. In the Middle East, some of the death row cases had been reversed because of successful negotiations of offering blood money. Several of these cases are not known to the media and public knowledge because the blood money was raised via donations and not being provided by the government. According to Jose, the execution of tghe OFW in Kuwait, Jakatia Pawa, 44, was the first death sentence of an OFW to be carried out in a foreign land for quite a long time. Another OFW in Kuwait is scheduled for execution. Elpidio Lano, reportedly killed a fellow Filipino, Nilo Macaranas, an engineer working in Kuwait. 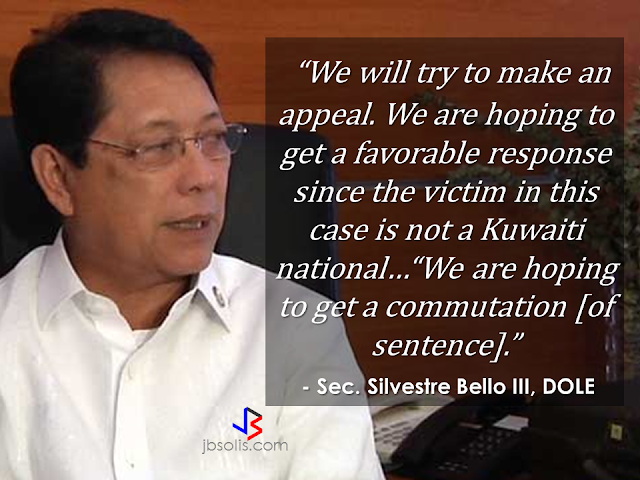 A day after the execution of Jakatia Pawa, DOLE Secretary Silvestre Bello III went to Kuwait to check on the situation of Lano and to visit Pawa's grave as well. Lano was found guilty over killing Nilo Macaranas, 50, over alleged jealousy on June 17, 2014. According to the landlady, Lano has a quarrel with her partner only known by the name Xylene. Xylene wanted to break up with Lano after learning that he has another girlfriend. Lano became jealous of Macaranas accusing him of sending text messages to his partner leading to confrontation and stabbing.